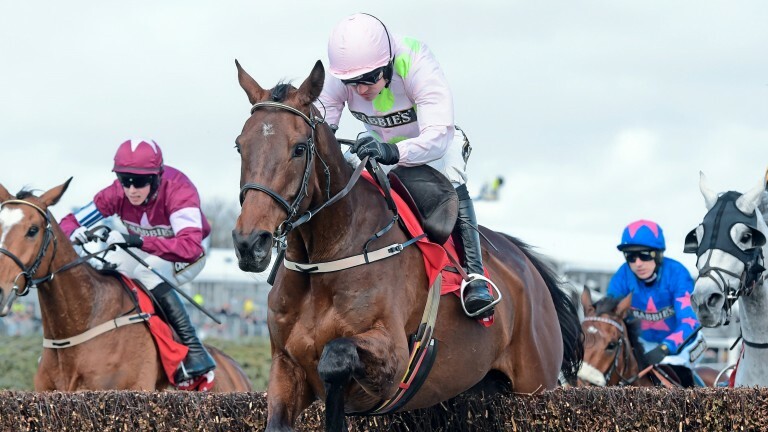 Runner-up in this event in 2015 and again last year, the Willie Mullins-trained eight-year-old has yet to win a Grade 1 chase over three miles or further and will need to show improvement if he is to reverse Cheltenham Gold Cup placings with Sizing John, to whom he finished fourth last month. Twice successful over the course in the John Durkan Memorial Chase over two and a half miles, Rich and Susannah Ricci's chaser has three and a quarter lengths to find if he is to turn the tables on favourite Sizing John. Speaking yesterday, Ruby Walsh admitted his mount looks up against it. He said: "Djakadam seems in good form, but he did disappoint at Cheltenham. "We thought he was in great form going there and although he made a mistake at the second-last, it wasn't the difference between winning and losing. "Hopefully, he'll run a good race, but it's difficult to see him turning around the form with Sizing John." Walsh will be seeking a sixth win in the race while Mullins has sent out three winners. Pros Solid performer who has twice run second in the Cheltenham Gold Cup and in this race. Cons His two Grade 1 wins have been achieved over 2m4f and he has come up short in top-level events over this trip and further.